RW: Hi, Tessa! Thank you for agreeing to this interview. I found your book Speaking in Subtitles: Revaluing Screen Translation very timely, and it provoked many questions and some new thinking for me. I started my university studies in translation, but I was surprised to learn about “value politics” in translation, which certainly wasn’t something I heard about 35 years ago. Could you provide a sort of elevator-pitch definition for readers? TD: Perhaps because I come from a different disciplinary background – Film and Screen Studies – the “value politics” of translation immediately stood out to me when I started to engage with intercultural viewing practices and, especially, subtitling and dubbing. In fact, it was an encounter with “value politics” that really sparked my sustained interest in the topic. I was writing about Hong Kong action films in my MA thesis, using some French critical theory. My supervisor suggested I read the French theory in the “original,” yet had no qualms about my viewing of subtitled Hong Kong action films. Obviously, there are hierarchies in place about when and why translation does, or doesn’t, matter. What I found ironic was that a very learned translation of a French theorist by someone with expert knowledge of the field was not deemed worthy of serious analysis, while the less than stringent (to say the least!) 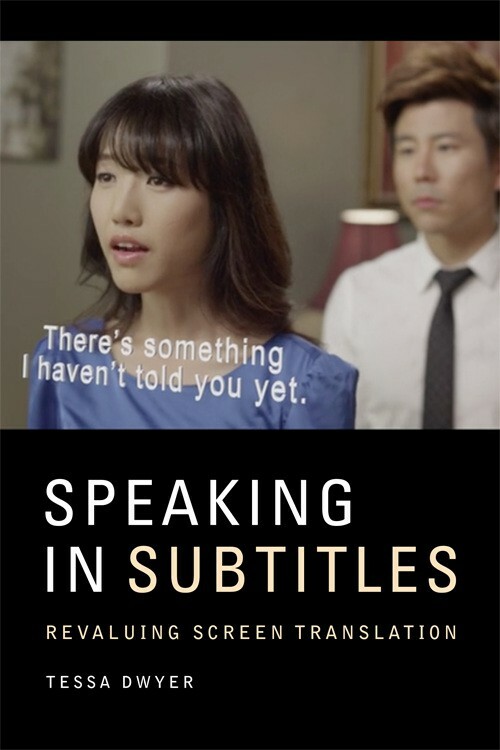 subtitling of the Hong Kong film industry flew completely under the radar. In Film and Screen Studies – especially Anglophone film theory – translation is so undervalued and un-theorised that it is almost entirely invisible. Despite the canonical centrality of European filmmaking, for instance, in the development of film theory and culture, the role of translation and the inter-cultural basis of much theorisation is almost entirely ignored. Translation speaks to reception contexts, over those of production/creation, and for this reason, it is often regarded as utterly inconsequential or, worse, as an affront to the creative process and to authorial vision. In this way, translation threatens the core stakes upon which so much of film and screen culture remains invested. That, I guess, it why I find it so fascinating and why I love how translation can demonstrate in myriad ways how the very distinction between production and reception breaks down. Everyday practices of subtitling and dubbing can really challenge so many assumptions and biases in the way we understand and discuss film and screen. 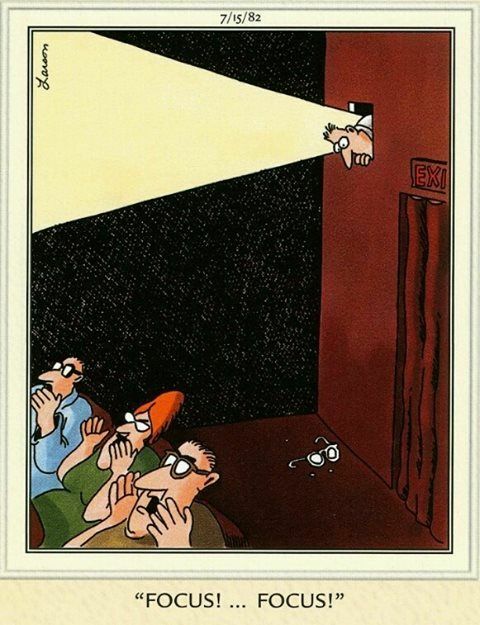 So much for an elevator pitch!... more like a meandering rumination. RW: That’s great: all helpful! You discuss critiques of subtitles which include elitism. Do you think wider access to film and video through prevalent video-on-demand streaming services is reducing this problem, which perhaps was more of an art-house issue for foreign films in the past? TD: This is certainly something to consider. The disruptive influence of streaming platforms is immense, and as I argue in the book, the global media flows enabled by online networking are affected, at every turn, by language difference and translation. These recent industry shifts really bring issues of translation to the forefront of our changing media landscape. So yes, I think that streaming services are set to impact significantly on attitudes to subtitling and dubbing, yet it is too early to tell how this will play out. In 2014, there were predictions that Netflix would cause the demise of dubbing within Europe by providing timely access to content in its original language. However, by 2018, Netflix was streaming dubbed versions of shows by default, claiming that even when audiences insist they prefer subtitling, dubbing keeps more people watching. RW: You cover issues around translation studies in your book, and current focus on content accessibility has certainly made this area more important than ever. Do you see audio-visual studies increasing in popularity, either as a result of demands for accessibility or because of the globalization of video content (VODs, gaming, etc.)? RW: Cultural misappropriation in the arts is a hot topic at the moment. Can you share some advice for young or emerging filmmakers, who might be trying to be more creative in order to get a foothold and visibility in a noisy film climate, about how and why to avoid détourning? TD: Well, I think cultural misappropriation is an ongoing (perhaps necessary) risk attached to many forms of intercultural communication and creation. Détournement was a radical, activist strategy that sought to upset boundaries and challenge modes of thought and politics. It didn’t shy away from cultural misappropriation, but rather, confronted it head-on. It set out to offend and to shock. My take on all this is that intercultural modes of production and reception are vital, essential elements of mediatisation – no matter how risky. We need to recognise this and consider the complexities of translation involved in everyday practices and modes of engagement. I would rather that misappropriation continue to surface as an issue, than that creatives simply avoid engaging beyond their own safe cultural borders and boundaries. RW: You talk about abusive and corruptive translation and quote Derrida about translation: “... it necessarily violates even as it devotedly follows or respects the original.” As a copy editor of books, I find my profession needs to walk a fine line between being “at once violent and faithful” in helping but also maintaining the author’s voice. “Nornes locates translation abuse within populist practices like anime fansubbing.” I feel the same way about self-publishers who think Grammarly can replace professional editing or who just want to ignore all writing conventions in the name of creativity. But your book seems to make a reasonable, unemotional examination of fansubbing. You changed my black-and-white thinking about it—well, brought my righteous indignation down a notch or two! Just as editors should not encourage grammar policing, what can you say to people who really bristle at fansubbing? Let’s start with a provocation: maybe translation is, at heart, a fan activity? TD: Let’s start with a provocation: maybe translation is, at heart, a fan activity? What motivates someone to labour so intensively and minutely with another’s text or creative work, if not some form of respect, devotion or fandom? Of course, the professionalization of the industry means that naturally many translators now routinely labour on works they do not love in any sense, but if we try to think about the origins of the practice, in scholarly and religious contexts say, the fan sense of investment holds. Speaking from outside the field of professional translation – without the need to defend my own territory – I think it’s easier for me to appreciate the creative and sometimes subversive nature of fansubbing. Also, I’m interested in what fansubbing shows us about global media industries broadly. Fansubbing alerts us to very interesting things that are happening within global media flows, articulating gaps and loopholes, challenging politics, re-purposing technologies and, in some ways, helping to shape the future of global media industries. Fansubbing is thought to have begun in the US when TV networks stopped broadcasting anime titles like Astroboy and Gigantor. Fans simply went in search of content themselves (sourcing video tapes directly from Japan or Hawaii), which then needed to be translated. As they set about translating for themselves, they discovered the extent of cultural adaptation/appropriation and reworking involved in the US TV broadcasts, and came to see their own translations as more faithful and authentic, and ultimately as safe-guarding the texts. This history is important as it shows how professionalism is by no means a guarantee of quality, due to corporate agendas, industry conventions, cultural attitudes and others factors. Also – I should mention that many professional audiovisual translators are themselves very interested in fansubbing, and feel that there are many lesson to be learnt. Minako O’Hagen, for instance, notes the benefits of collaborative, peer-to-peer working environments with in-built feedback and mentoring mechanisms. O’Hagen and others also point to the value of expert genre knowledge as something that the industry is learning from the example of fansubbing. Netflix’s Hermes tool is a case in point: the aim is to match the right translator with the right content. One of the major reasons why we should value, not fear, fansubbing is due to the fact that many language communities around the world are underserved by online offerings and by professional translation. Collaborative fansubbing provides a means to do something about the inequalities that persist in online modes of screen media access. While Netflix has expanded into 190 (out of 195) countries across the world, it only supports around 20 languages. The Netflix Vietnam service, for instance, offers a very limited range of Vietnamese-subtitled content, and so, once again, viewers resort to fansubs, using websites like subscene.com. Is there anything else you’d like to share? Perhaps something that didn’t make it into this book? TD: I’ve published recently on barrage cinema in China (where viewers text comment onto the movie screen) – which relates tangentially to subtitling as a text-on-image mode! I’m also developing a fansubbing project around an in-production Spanish-language web-series called Distancia (watch the trailer here). RW: I love the discussions around language and vocabulary in the barrage cinema article (“assault,” “bullet subtitles,” “hecklevision”! ), and I'll keep an eye open about Distancia. Thank you again, Tessa! TD: Thanks so much for this positive feedback. It’s truly gratifying to hear that you have found something of value in my book (despite its occasional forays into academic abstraction), and that it even has use for someone working in the industry. I really appreciate your thoughtful comments and enquiries and look forward to catching your next post. So, the pleasure is all mine – thank you! Dr. Tessa Dwyer is a Lecturer in Film and Screen Studies. Prior to arriving at Monash, she taught Screen and Cultural Studies at the University of Melbourne, and worked as a researcher at the Swinburne Institute for Social Research, Swinburne University. Tessa is a member of the inter-disciplinary research group Eye Tracking the Moving Image (ETMI) and president of the journal Senses of Cinema (www.sensesofcinema.org). 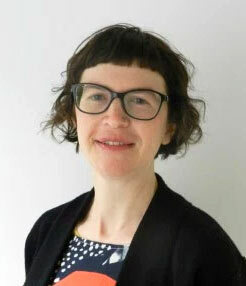 Tessa’s research focuses on screen translation, language difference and transnational reception and distribution practices. She holds an Honours and MA degree in Fine Arts (Film) from the University of Melbourne, and a PhD in Screen and Media Culture, also from the University of Melbourne.